Technology has changed the face of communication forever. 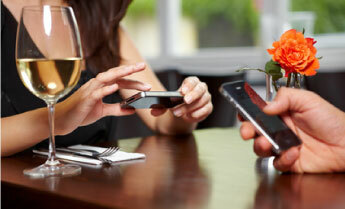 In only a few short years smartphones have revolutionized the way we communicate with each other and local businesses. Mobile marketing is the newest and most effective method of marketing ever! With a wealth of information at their fingertips, customers no longer reach for the phone book when they are looking for somewhere to eat. You customers have changed how they communicate. Are you communicating on their level? SpeedySigns has always been at the forefront of technology. Our mobile marketing solutions are extremely affordable and will help you deepen your customer relationships, while building trust in your brand and driving your bottom line. We can maximize your mobile marketing investment, no matter your size. We will work with you to create a mobile marketing solution that works. Our dedicated staff are with you every step of the way, from ideation to execution and on-going support. 50% of people in the United States currently own a smartphone, and that number is set to increase dramatically next year. 30% of searches on a smartphone are for a local business. What will your customers find if they search for you? Mobile marketing offers your customers 24/7 access to your business. 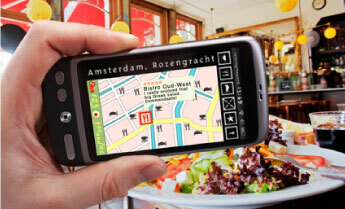 Will your restaurant be found? By using our mobile marketing solutions, you can promote your restaurant to more potential customers in the most affordable way. By connecting with your customers on a personal level, you will receive better feedback and your return on investment will grow. Let us show you how to maximize this by not only marketing to your customers, but making the most of how they are communicating to get new customers through your door. With their smartphones, your customers are now food critics and marketing tools all wrapped up in one neat little package. Their experience will be posted on the internet via updates on Facebook, Twitter, and other social networking channels. Did you know that over 50% of the population of the United States is an active user of Facebook? Imagine reaching more of these potential customers by giving your patrons an easy way to rave about your great food, fast service, or interesting experience! Being active in social media can also allow you to offer coupons and other incentives to your customers, attract them to try a new menu item, or giving them money off or a free meal. All this starts with letting your customers know that they can follow you on the various social networks such as Facebook and Twitter. You can do this via decals on your restaurant window. You can even create QR bar-codes that link directly to your Facebook page, or enable people to tweet about you on Twitter, they can be placed on any of your marketing materials and in various locations throughout your restaurant. You have already got these customer through the door, so why not use them as a marketing tool to help grow your business. By making it easy for customers to leave reviews on sites such as urbanspoon or foursquare, or to like you on Facebook gives you a great opportunity to reach more customers. By “liking” your restaurant on Facebook, they are sending your contact information to their friends and giving your business a “thumbs up”. Imagine how many new customers you could reach. It is more important that ever to take advantage of the latest techniques that can make or break a fast moving business such as a restaurant. We go beyond traditional marketing techniques to help you get your message to your customers in this fast moving, connected world. From marketing strategies, mobile websites, and print materials in your restaurant, we can help you get new business through your door and increase your base of loyal customers by harnessing the power of mobile marketing and social networking. Don't get left behind, this is your chance to join the mobile marketing revolution. For more information on how our restaurant marketing solutions can be put to work for you, contact one of our highly trained marketing specialists today at 1-866-846-7446. We look forward to be given the opportunity to share our knowledge and help you grow your business.